Having a cash flow statement is one of the key parts of your financial plan within your business plan. If there isn’t any money in the bank, all the strategy, the tactics and any ongoing activities the business has… mean absolutely ZERO! 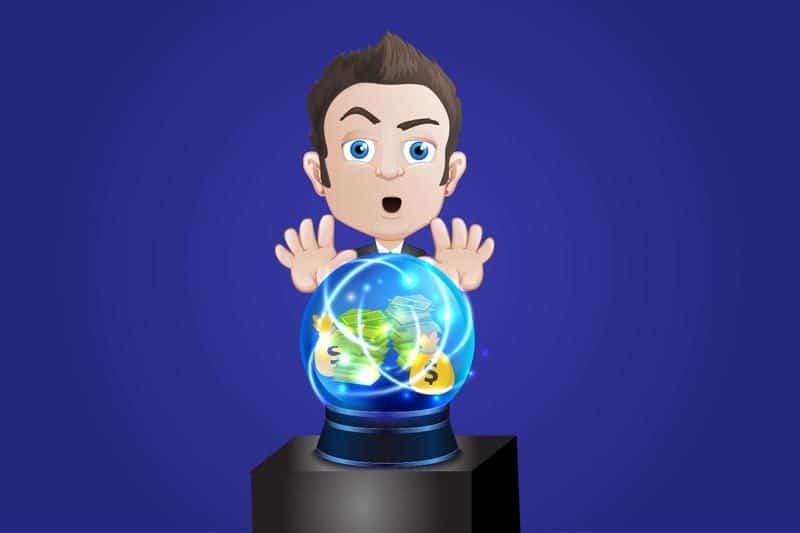 Cash Flow Projection predicts all of your money needs well in advance, giving you complete peace of mind. When we talk about cash, we are talking about the actual cash you can spend. This can include money in the bank, any savings and market funds (liquid securities). Do not get confused here… Profits and cash are not the same! Even profitable companies who don’t manage their cash and their profits will run out of cash! Do not get confused here... Profits and cash are not the same! Even profitable companies who don’t manage their cash and their profits will run out of cash! When you spend money on things like inventory, new equipment, debt repayment, or other assets, this money does not show up in your income statement (your Profit & Loss Statement). If your customer purchases something on account, this adds to your sales within your Income Statement; however, it sits within the ‘accounts receivable’ section of your assets until that customer has paid up. Cash Flow projections links both the balance sheet and the Income Statement. It completes the puzzle and reconciles the income statement with your balance sheet. Why not download our FREE Cash Flow Template now to create your own! 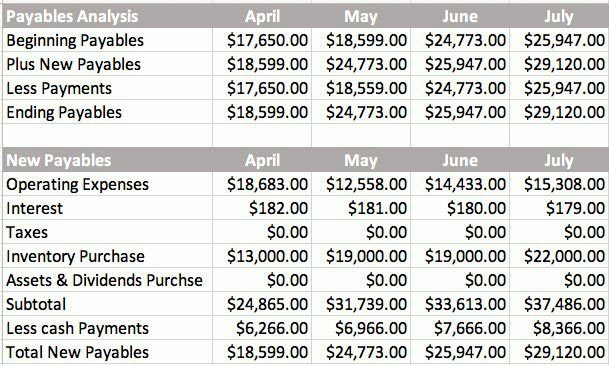 The example below shows an example of a cash flow statement for a Car Warehouse. 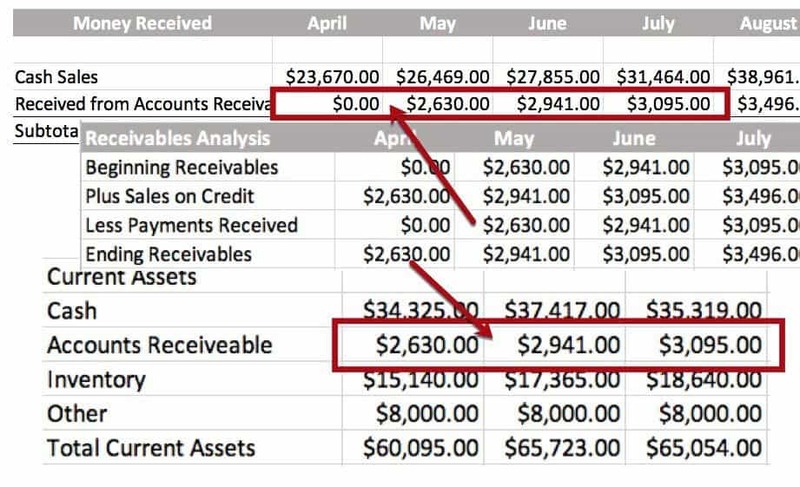 It shows how the estimated receipts from the accounts receivable (AR) link back to sales and the balance of AR. 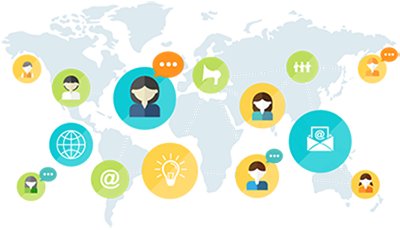 Equally, payments of your accounts payable need to link with the balances of payables as well as those expenses and costs that created them. This is essential for business survival, however it’s not as in depth as the information you get from your income statement, your sales forecast or personnel plan. The first 2 rows of Bobby’s Car Warehouse cash flow projection (in the above example) depends on how detailed his estimates are of the money coming into the business once his customers have paid their invoices. He has estimated this based on assuming that 10% of sales are paid on account (on credit), and that the customers will settle their invoices after one month. For this example, the amount of sales which are on credit are 10% of the estimated overall sales in the sales forecast which is $26,630. Because of the nature of Bobby’s business, this is the assumption he has made. The money therefore comes in a month later. 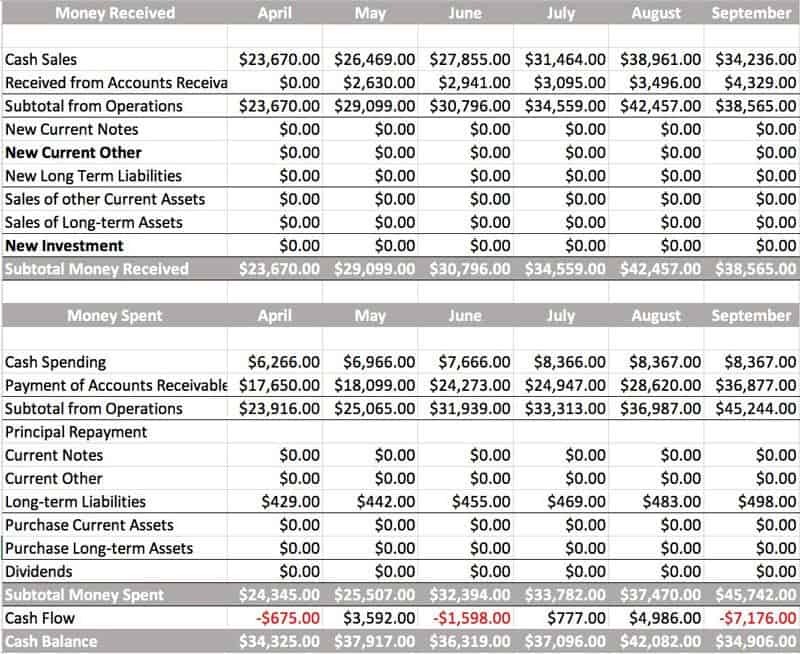 This example projects the value of the accounts receivable in Bobby’s balance sheet projections whilst also the received from the value of AR in the cash flow projection. Also making the assumption about sales on credit plus another assumption on waiting times before collecting payment. It also affects both the projected cash flow and balance, which will be illustrated in the next example. Inventory will also impact on cash flow. Your amount of inventory which is illustrated in the income statement projections relates to the sales timing. 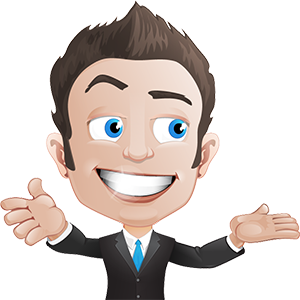 This inventory analysis is subject upon the information from your sales forecast. The majority of businesses wait approx. 30 days before paying their invoices from other companies. By holding some money back and paying it back later means we are able to save our cash flow. Using the accrual accounting method, it is listed under accounts payable on your balance sheet. To be able to estimate accounts payable, you need to carefully combine both assumptions and calculations. Firstly, you collect the full payment amounts. The next step is to account for any immediate payments (that are not added to account payable section.) Once this has been done, you need to estimate, on average, how long you hold payments for. For this example, we assume that the workshop pays its bills after 30 days of receiving them. This method is just as good as the direct method and will get the same results. These projections are very useful. To really manage them, you need to compare them to your actual analysis so that you can catch any changes and manage them in time.